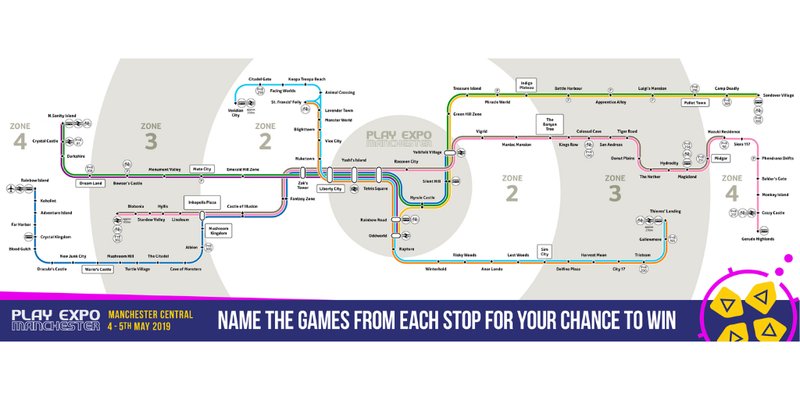 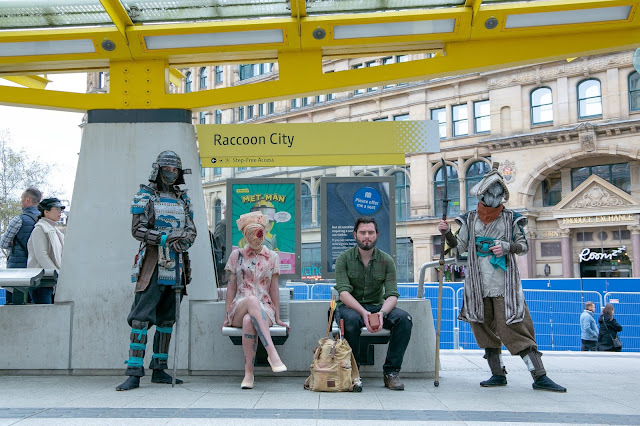 IN THE BUILD UP TO PLAY EXPO MANCHESTER MARIO, LUIGI AND FRIENDS ARE WREAKING HAVOC RENAMING MANCHESTER'S METROLINK STOPS! 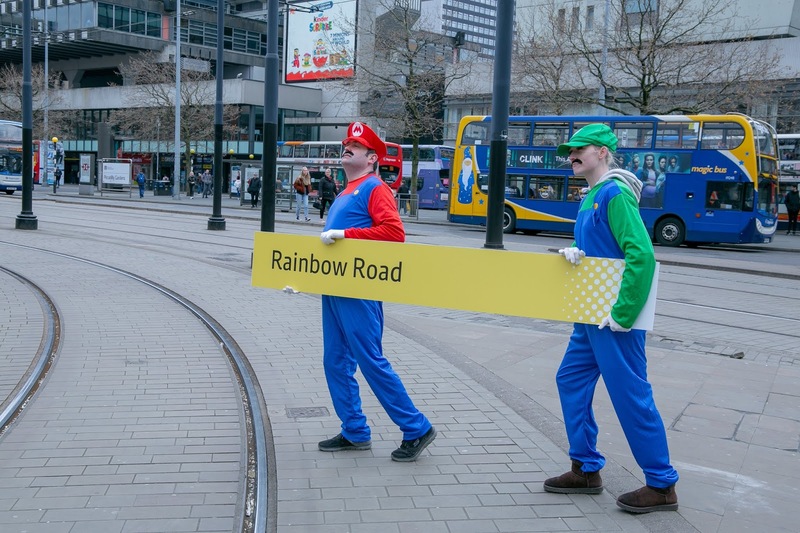 Led by Mario, the horde of video games characters wreaked havoc on tram stops, replacing signs with famous game locations and names. 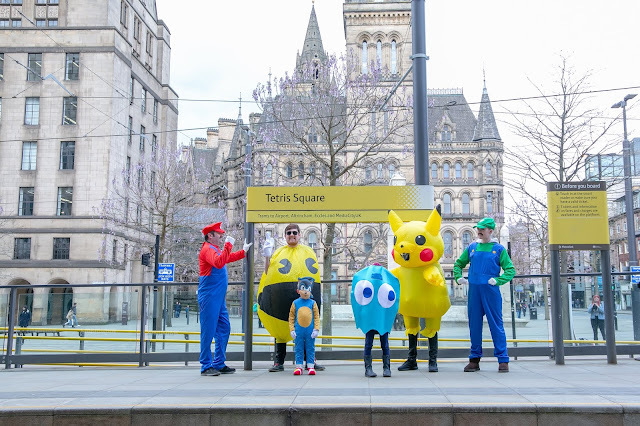 The activity was in celebration of the North’s biggest gaming event PLAY Expo which takes place at Manchester Central on May 4 and May 5.
games industry guests and even careers advice for those looking to work in the world of gaming. 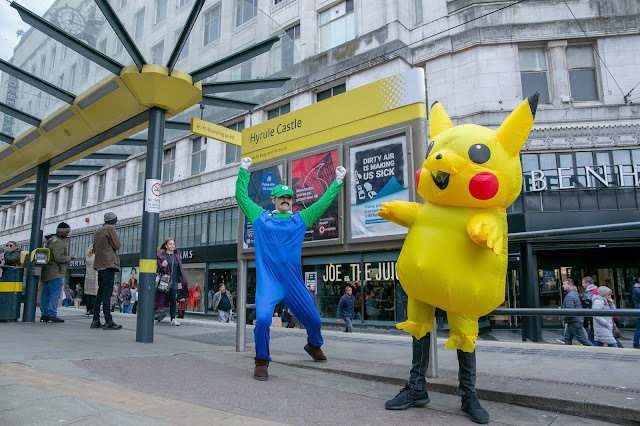 Family £96 for the Weekend ticket and can be bought from playexpomanchester.com.